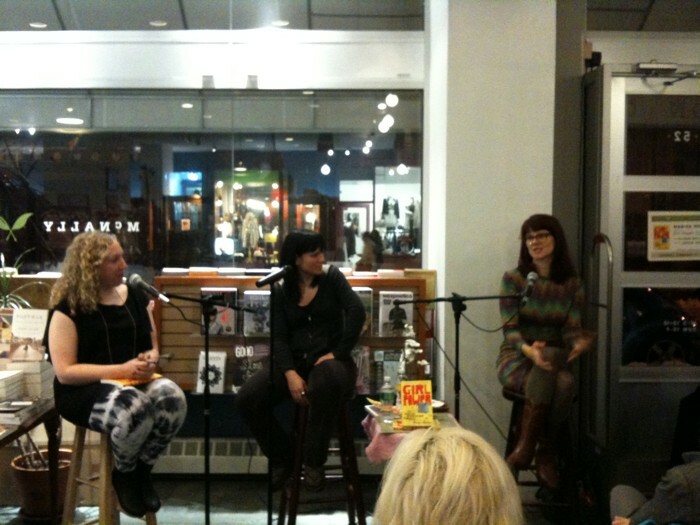 I always complain that I didn’t know any feminists growing up in Buffalo. 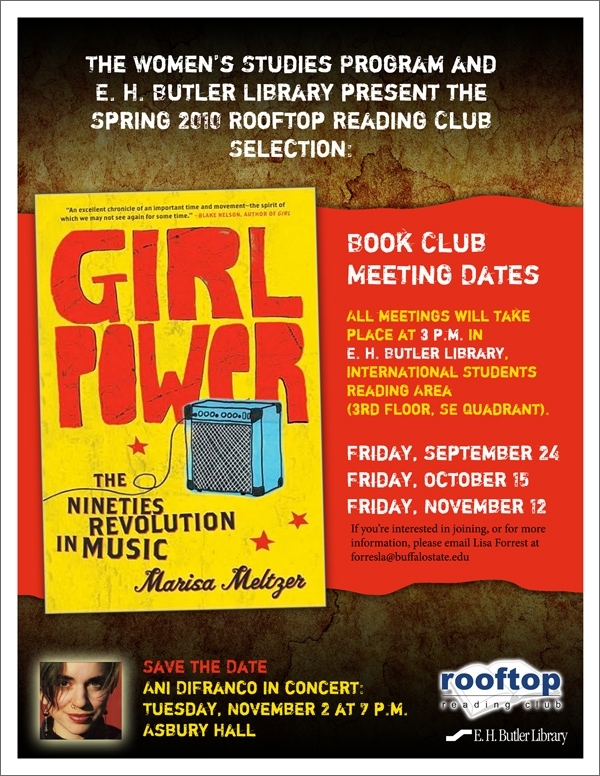 But these days, you can join a feminist club that is spending a few weeks reading Marisa’s book. Then you can go to an Ani DiFranco concert with your new friends. Almost jealous. 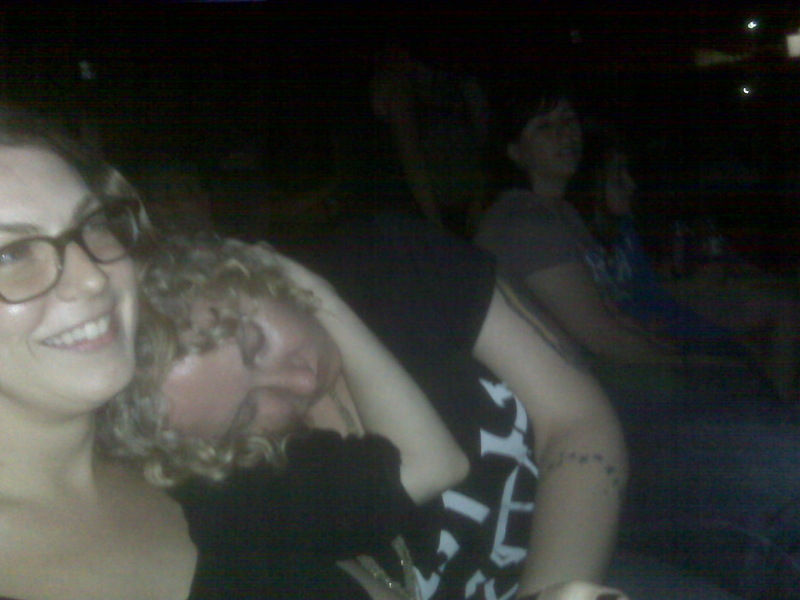 Marisa and I in heaven listening to the Indigo Girls perform "Closer to Fine." On August 1st, we went to the Lilith in Hatford, Connecticut. Jon has already had his say about it. Here, Marisa and I kinda, sorta give our own review as we chat about the allure of free tampons; how selling condoms isnt very 90s; Amy Ray’s hotness; and more. Marisa: So Lilith. Where to even begin? Kara: We could begin with the tailgating Connecticut lesbians who warmed our hearts upon entrance. Our cargo-shorted sisters. Marisa: I only wish I had played beer pong with them. Confession: I have never played beer pong. Kara: After we admired the tailgaters we went and walked around and came across the Lilipad. Marisa: Omg, the Lilipad. Sponsored by ob, stay free and one other… carefree? Kara: Maybe. I was mostly interested in ob, my favorite. You were pretty psyched. We left Jon outside so that we could go gather up free tampons. Marisa: Why aren’t tampons always free? If men menstruated, would tampons be free? Kara: Whoa. That is a really deep and important thought. That reminds me of the flavored condoms that Planned Parenthood was selling. Marisa: Selling condoms is not very 90s, in my opinion. I’m pretty sure I didn’t pay for condoms once during the 90s. There were free condoms everywhere. Was that a college town thing? 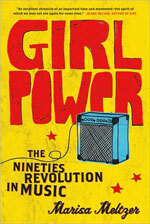 Ada, I wanted to post a few of my favorite links to stories and posts about Marisa’s book on the 90s, feminism, and music. Anyway, here are some of my favorite things Marisa said in some of her interviews that are not necessarily representative, although they may be representative of why I like her. Dude, where is your depressing post about heteronormative beer commercials? I can only take so much Miley-Cyrus-induced joy. ALSO: we have emailed about how we are going to start a book club. 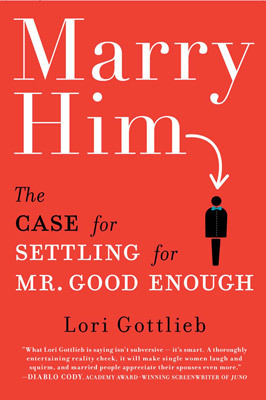 On deck to discuss: “Marry Him” by Lori Gottleib, and “Girl Power” by Marisa Meltzer. I figured I’d post our idea here so (1) people could write in with book suggestions, and (2) we would actually do it.